As a user of the South Galilee Coal Project website ("www.southgalilee.com.au"), you are bound by the following terms and conditions. Accordingly, you should review them in relation to all or part(s) of the website. 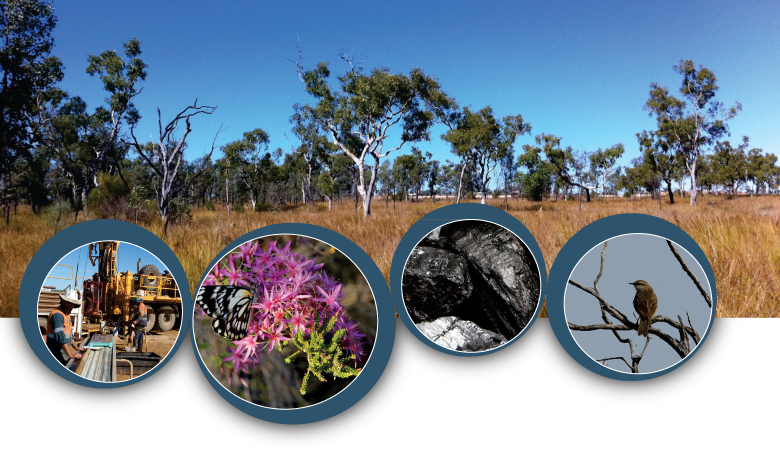 By allowing you to access the website, South Galilee Coal Project grants to you a licence. By accessing the website, you accept the terms and conditions of this licence. If you wish to download and use any material contained in the website for a temporary purpose (such as viewing offline), you may do so. However, downloading material contained in the website for reproduction by you may only be done upon receipt of prior written consent from South Galilee Coal Project, and upon payment of any fee required by South Galilee Coal Project to be paid by you for that use. To not copy or translate for commercial use, reproduce, adapt, vary or modify any material in the website without the express consent of South Galilee Coal Project, except as expressly authorised by this licence. To not provide or otherwise make available any material in the website in any form to any person other than employees, subcontractors and other agents (if any) without the written consent of South Galilee Coal Project. South Galilee Coal Project does not warrant that the material in the website is accurate, complete or up to date. The existence of inaccurate, incomplete or superseded material in the website will not cause South Galilee Coal Project to be in breach of the terms of this licence. South Galilee Coal Project reserves the right to change, add or remove any material in or from the website without notice. South Galilee Coal Project does not warrant that the functions contained in the website or third-party websites will be uninterrupted or without error, that defects will be corrected, or that electronic material in the website and other third-party websites are free of viruses or other harmful components. South Galilee Coal Project will not be liable for any indirect or consequential losses arising out of a breach of this licence, or arising out of the supply of a defective program or incorrect materials. When deciding to visit the website, you acknowledge that you have exercised your independent judgment and have not relied on any representation made by South Galilee Coal Project which has not been stated expressly in this licence or upon any descriptions or illustrations or specifications contained in any document including catalogues or publicity material produced by South Galilee Coal Project (which material may be out of date or superseded). "South Galilee Coal Project" and all associated trademarks are trademarks of South Galilee Coal Project and its related bodies corporate. All other trademarks on this website, registered or otherwise, are trademarks of their respective owners. Subscribers must take due care to protect the copyright of materials from unauthorised use, copying, reproduction, lending, reselling, manipulation, disassembly, distribution or publication. In the event that a subscriber breaches this duty, or if it is found that a subscriber's conduct violates applicable law, South Galilee Coal Project may immediately suspend or terminate a subscriber's subscription without notice. You must indemnify and keep South Galilee Coal Project indemnified fully against all liabilities, damages, claims, losses, costs and expenses, which South Galilee Coal Project may incur to a third party or you as a result of your breach of the provisions of this licence. This website may contain hyperlinks to other websites operated by third parties. You accept that South Galilee Coal Project has no control over, and is not responsible for, any material contained on any third-party websites. You may be required to comply with all requirements of any third party over the conditions of use of that third party's website. This licence commences upon your accessing the website and is granted in perpetuity. However, the licence may be terminated without notice by South Galilee Coal Project if you are in breach of any terms of this licence. Upon termination, you or your representative must destroy any copies, electronic and printed, of material obtained from the website that you have in your possession or under your control or otherwise return or dispose of such material in the manner directed by South Galilee Coal Project. Termination pursuant to this clause shall not affect any rights or remedies, which South Galilee Coal Project may otherwise have under this licence or at law. South Galilee Coal Project may at any time vary and amend the terms and conditions of this licence by publishing the varied Terms and Conditions of Use on the website. You accept that by doing this, South Galilee Coal Project has provided you with sufficient notice of the variation and amendment. Failure or neglect by South Galilee Coal Project to enforce at any time any of the provisions of this licence shall not be construed or deemed to be a waiver of the rights of South Galilee Coal Project under this licence. This licence shall be governed by and construed according to the laws of the state of Queensland, Australia.